Arizona Diamondbacks closer Greg Holland threw a couple of tight inside pitches in the bottom of the ninth inning to the Padres’ Francisco Mejia on Sunday, raising questions about whether it was in retaliation for Padres pitchers hitting two Diamondbacks with pitches on Saturday. Arizona manager Torey Lovullo said all that mattered was that Holland got three outs to end the 8-4 win. 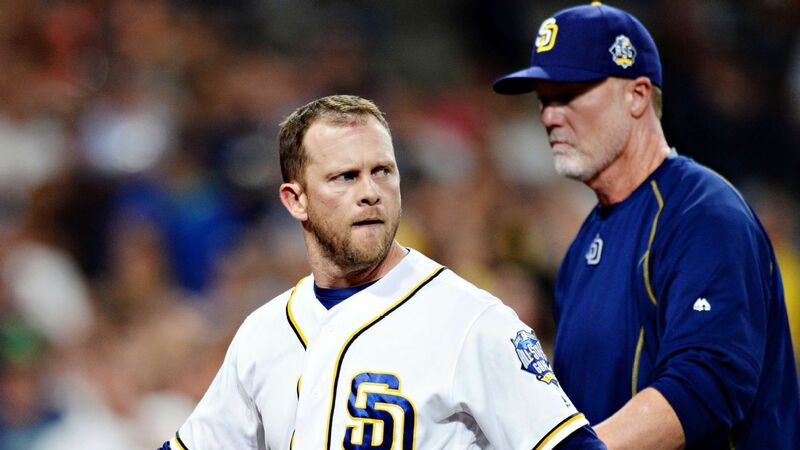 But Padres manager Andy Green had some choice words for the umpire crew.